If there is one person who single-handedly fascinated millions of landlocked viewers to venture underwater into the unknown, through television, it is the Frenchman Jacques Cousteau. Jacques-Yves Cousteau was born on June 11, 1910, in the town of St.-Andre-de-Cubzac near Bordeaux, in France, to Daniel and Elizabeth Cousteau. As a child, Jacques was quite sickly but he nonetheless learned to swim at the age of four. His initial dip led to his everlasting love for the sea. He was also very curious about machines. At the age of 13, Cousteau saved his pocket money to buy a movie camera. The first thing he did was to take it apart to see how it worked! He shot films around the house and credited it with “J Cousteau” director and chief cameraman. Despite his curiosity, Cousteau was not very interested in school. He was soon expelled from school for breaking one of the windows. As a result Cousteau was sent to a boarding school in Alsace. In 1930, he gained entry to the Ecole Navale (Naval Academy) at Brest. Cousteau joined the French Navy as a gunnery officer. He took his camera along and shot roll after roll of exotic films. It was in one of his trips near Polynesia that he saw South Sea pearl divers wearing a kind of goggles when they dived under water to search for oysters. In 1933, he suffered a major car accident that nearly cost him his life. Cousteau began swimming daily in the Mediterranean to regain his health. Here he experimented with watertight goggles, so he could see underwater. Cousteau married Simone Melchior in 1937 and they had two sons, Jean-Michel and Phillipe. Cousteau and his friends were determined to dive deeper and capture what they saw on camera. The compressed air cylinder had just been invented and this helped Cousteau to experiment with various items like snorkel hoses, body suits, and breathing apparatus to stay underwater. He even fashioned a waterproof cover for the camera. During World War II, when Paris fell to Hitler’s Nazis, Cousteau joined the French Resistance movement, spying on the armed forces of Hitler’s ally, Italy. For his efforts, the French government later awarded him several medals including the Legion d’Honneur, the highest honour given to a cilvilian. During the war, Cousteau continued to search for a breathing apparatus to stay for long periods under water. In 1943, he met Emile Gagnan, a French engineer and the two perfected a machine, which they called the “aqua lung”. In 1948, he became president of the French oceanographic campaigns and in 1950 purchased a ship, the Calypso, to further his explorations. To finance his trips he tried to get government grants but soon realised that he first had to attract media attention to get money. Cousteau first wrote ‘The Silent World’ in 1953 on the development of scuba diving. The book made him an instant celebrity. In 1955, he left on a voyage to the Red Sea and Indian Ocean that was sponsored by the French government and National Geographic. Simultaneously he shot numerous films. For the documentary film ‘The Silent World’ shot in 1956, Cousteau shot a spectacular sequence of sharks feeding for which he won an Academy Award. Having attracted public attention, Cousteau needed a base to work from. In 1956, he retired from the French navy as a Captain and became director of the Oceanographic Institute at Monaco. For long, Cousteau wanted to show that people could live and work on the ocean floor. He set out to prove this with three expeditions, called Conshelf I, II and III. Cameras captured every moment of these “oceanauts” and the resulting film ‘World Without Sun’ in 1966 won an Academy Award. In 1968, Cousteau was asked to make a TV serial. Initially meant as a four part series, it continued for the next nine years. Titled ‘The Undersea World of Jacques Cousteau’, millions followed Cousteau as he zigzagged across the globe. People came face to face with sharks, whales, dolphins, sunken treasure, coral reefs in their living rooms. Between filming and his many trips Cousteau wrote various books: ‘The Living Sea’ in 1963; ‘Dolphins’ in 1975; and ‘Jacques Cousteau: The Ocean World in 1985’. During his expeditions, Cousteau realised that man was polluting the oceans considerably. In 1974, Cousteau started the Cousteau Society to conserve ocean life. The organisation grew to include over 300,000 members worldwide. In 1985, Cousteau was awarded the Medal of Freedom by US President Reagan. On January 11, 1996 the Calypso hit a barge and sank in Singapore harbour. He tried to raise money to build a new vessel to be called the Calypso II. 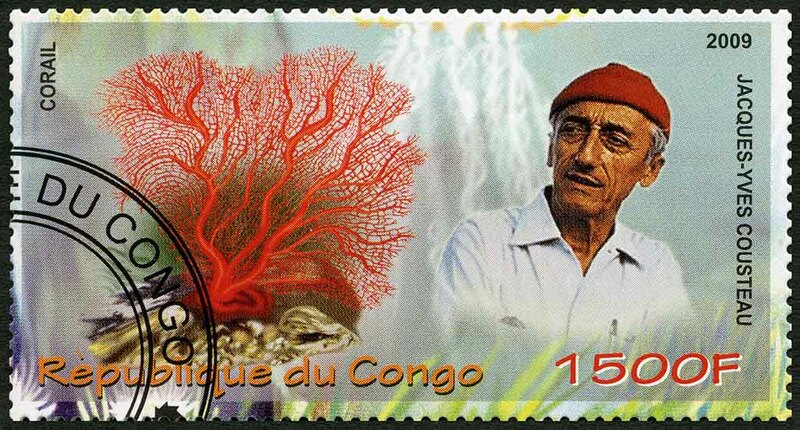 However, Cousteau died on June 25, 1997, but not without ridding people’s fear of the unknown under the sea. Previous articleDo Aphasics Make Great Lie Detectors? Next articleHow Can We Correct Crooked Teeth?